Baskets have always been a popular home decor item. But what about wire baskets? 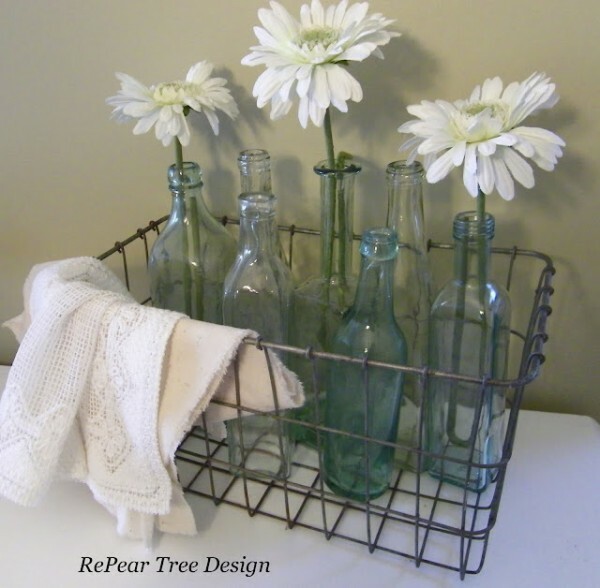 And, what about old wire baskets that originally came from a garage or shop? The quick answer may be no way Jose! However, if you really look at these baskets, you will see features that are quite appealing for a decorative accent. Case in point is this six bottle wire basket carrier. It may have been used to store fuel or other bottled liquids in a shop. 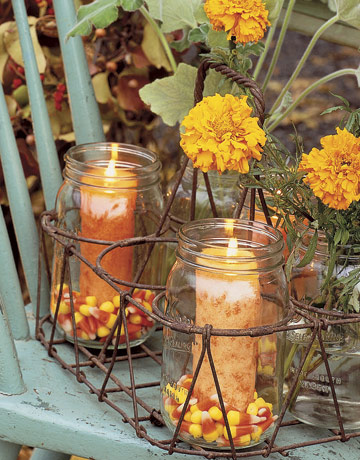 However, cleaned up and filled with mason jars and flowers, it takes on a whole new look. 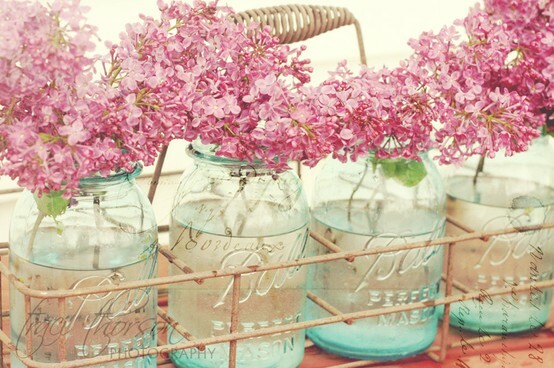 The blue tint of the bottles with the pink flowers is so Springy and fresh! This is really a cute idea for a Fall display! 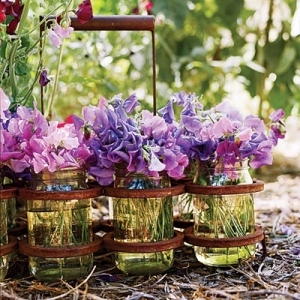 What I really like about all of these old wire baskets with the handles is that they are easy to tote around once they are filled with the jars and fresh flowers. This makes it easy to add more water if needed. The separate compartments for all of the jars is great too for holding all of them in place. 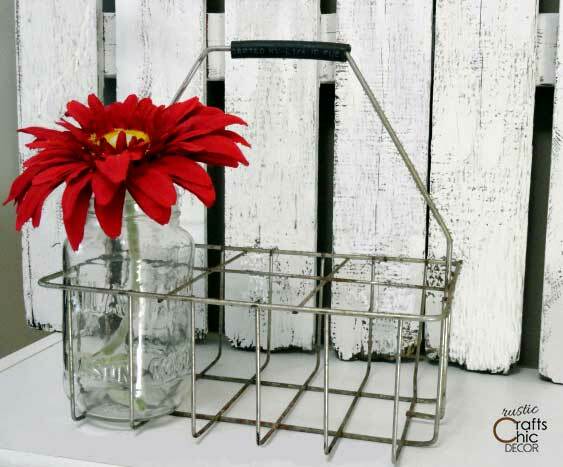 There are lots of other types of industrial wire baskets that are perfect for your home decor as well. 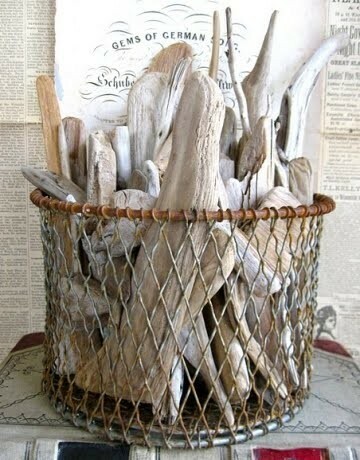 This basket makes a great holder for a collection of nice drift wood. I can definitely picture this at a lake front cottage! I love how this one is partially woven in burlap for an extra chic look! 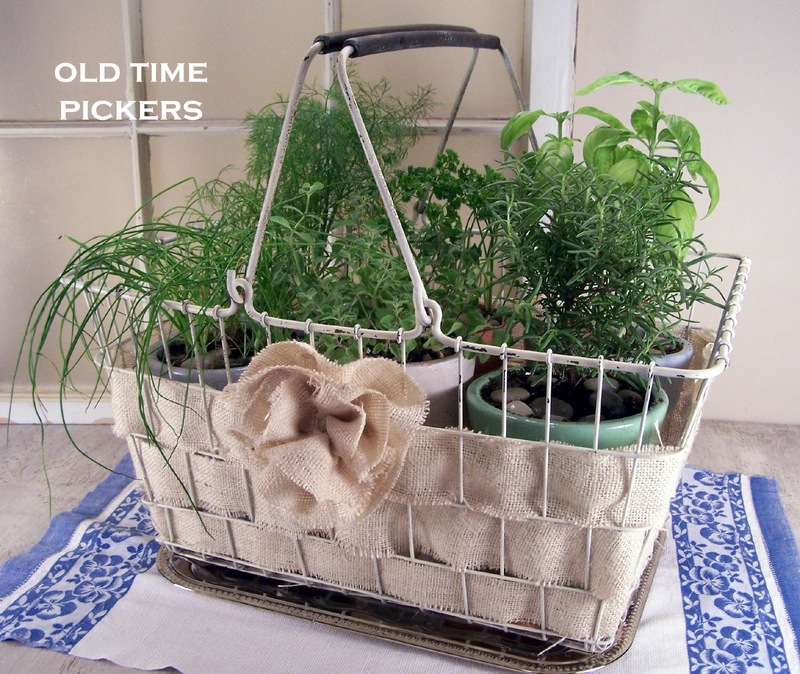 This basket is the perfect size for storing a small herb garden. I would like this one on my bathroom counter. It is so calming and spa like! I hope you have been inspired by these ideas for using old wire baskets! Love all of these — especially cute is the one with the fabric woven through it! Great ideas and inspiration! I’m glad you liked them :)! OMG, I love this post! Vintage wire baskets are hard to come by around here but I do score them occasionaly. I don’t find a lot of them either but make sure to grab them when I do!